Offering you a complete choice of products which include eucalyptus oil, carrot oil, lemongrass oil, spearmint oil, ylang ylang oil and ajwain oil. Solubility Almost insoluble in water; soluble in 5 volumes of 70% alcohol; miscible with alcohol, oils, fats. Storage Well closed in air tight containers away from sunlight and heat preferably in amber color glass containers. Use : In food flavoring, Pharmaceutical aid, health tonics, blood purifier, ayurvedic and herbal preparations. Carrot, (Daucus carota) the most beautiful tap root amidst all other edible roots is a deeply, orange coloured portion of the plant that is buried in the soil. Carrots are an excellent source of antioxidant compounds, and the richest vegetable source of the pro-vitamin A carotenes. Carrots' antioxidant compounds help protect against cardiovascular disease and cancer and also promote good vision, especially night vision. Carrot Oil is different from carrot seed oil. The first one is prepared by infusing the fleshy carrot in oil, so that its essence is captured in the oil whereas the carrot seed oil is prepared by crushing the seeds of carrot. 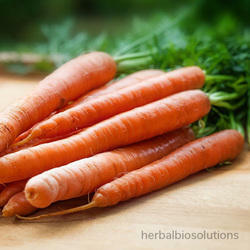 Carrot Oil is a golden colored extract with skin protection and conditioning effects. Its properties are due to the Carotenoids which acts as antioxidants. Antioxidants protect the cells from harmful free-radical attack. Free-radicals are stray oxygen molecules that attack healthy cell walls and react with polyunsaturated fats to create a chain reaction of unlimited free-radical regeneration. Carrot seed oil have wide range of applications in folk medicine and been found to act as a muscle relaxant and vasodilator. It is now most commonly used as fragrance and flavoring and a source of food color, beta-carotene and vitamin A. Carrot Oil is very very rich in beta-carotene as well as vitamins B, C, D and E and is most useful as a skin rejuvenator and extremely effective for dry and aging skin. It further contains daucol, alpha-pinene, and geranyl acetate. The therapeutic properties of carrot oil are antiseptic, carminative, cytophylactic, depurative, diuretic, emmenagogue, hepatic, stimulant, tonic and vermifuge. Lotions, massage oils, diffusers, Potpourri, scent, air fresheners, perfume Oils, aromatherapy products, spas, incense, facial steams, hair treatments, etc. Cymbopogan, a family of tall grasses comprises the lemongrass, the cymbopogan citrates. It is a slender perennial that grows in dry soil. It is native to phillipines and is widely used in Asian cuisines. 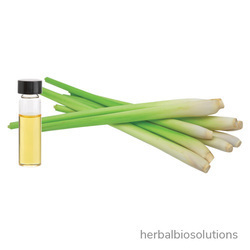 It is closely related to Citronella grass and is used as an insect repellant.Lemongrass is also used to bring down fever and treat infectious illness. Solubility Almost insoluble in water; miscible with other solvents, alcohol, oils, fats. 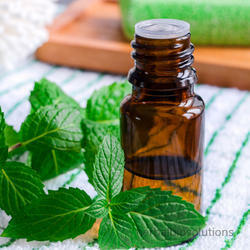 Use : In food flavoring, Pharmaceutical aid, health tonics, as a natural insecticide, ayurvedic and herbal preparations. One of the fast growing perfume rich plant in the family of Custard Apples has been named as Ylang Ylan or even kenanga, fragrant cananga or even perfume tree. It is scientifically named as Cananga odorata and the habitat is termed as rainforest regions. Ajwain is a small, erect, annual shrub with soft fine hairs. It has many branches of leafy stems, small feather like leaves, 4 to 12 rays of flower heads, each bearing 6 to 16 flowers. The fruits are minute, egg shaped and grayish. Ajwain probably originated in Egypt and the eastern Mediterranean area. It is very widely cultivated in black soil particularly along the riverbank in Egypt and many other countries like India, Iran and Afghanistan. Ajwain seeds consist of moisture, protein, fat, minerals, fiber, carbohydrates, calcium, phosphorus, iron, carotene, thiamin, riboflavin and niacin. 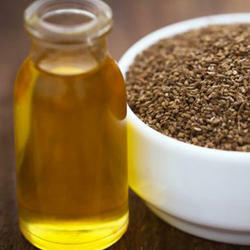 Ajwain Oil: Ajwain oil is extracted from the seeds of Ajwain, by the process of steam distillation.Main constituents include an essential oil called thymol which constitutes 35-60% of The essential oil (2.5 to 5% in the dried fruits).There is also α-pinene, p-cymene, limonene and γ-terpinene found in the seed. Therapeutic Properties: Ajwain is pungent and bitter in taste and have antibacterial, spasmodic, germicidal, antiseptic, digestive, antipyretic, expectorant and tonic properties. 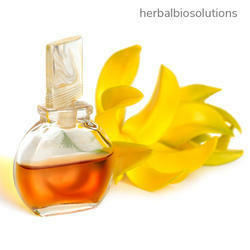 As a fragrance and flavor raw material; aromatherapy oils, herbal ingredient in skincare products. 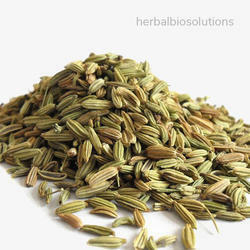 Aniseed oil is obtained from the seeds of Pimpinella anisum. Anise is a flowering plant native to the eastern Mediterranean region and Southwest Asia. Its flavor resembles to Liquorice, fennel and tarragon. It is a herbaceous annual plant growing to 3 ft height. The seed pods that are referred to as "aniseed" are ground-gray to grayish-brown in color, 3.2 to 4.8 mm in length, oval in shape and with a short stalk attached. It has a characteristic agreeable odor and a pleasant aromatic taste. Aniseed is available whole or ground. It has vitamins B complex, C, potassium, calcium, iron, sulfur and aromatic essences. 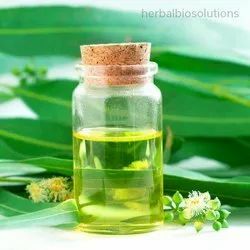 Aniseed Oil: Aniseed oil is extracted by from dry fruits and seeds of aniseed by the most efficient process of steam distillation.The active components in the oil are a-pinene, camphene, b-pinene, linalool, cis-anethole, trans-anethole, safrole, anisaldehyde and acetoanisole. Therapeutic PropertiesAniseed can be used as any of the following: antiseptic, antispasmodic, carminative, diuretic, expectorant, stimulant, galactagogue, stomachic, insecticide, laxative and parasiticide.